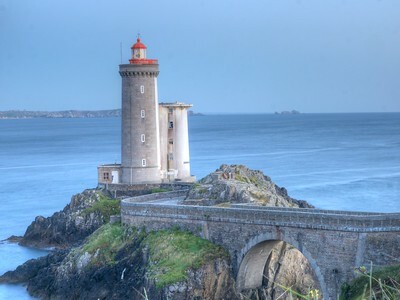 One of the landmarks clearly seen on entering the magnificent port of Brest in France is the lighthouse known as the Phare du Petit Minou. For mariners of today and days past, lighthouses guide the way to safety around hidden dangers. A lighthouse seen from an appropriate distance can provide comfort, but a lighthouse seen from up close, too late, can bring sheer terror. The symbolism of lighthouses cuts across many parts of life. There are few paths which have not been trodden by others before us, and in many cases those people left clues about dangers on the path, and routes of best passage. The clues are there for us, and by paying attention we can avoid dangers that others have faced. This image was created at sunset, which was very late in the evening - around 10:30pm. 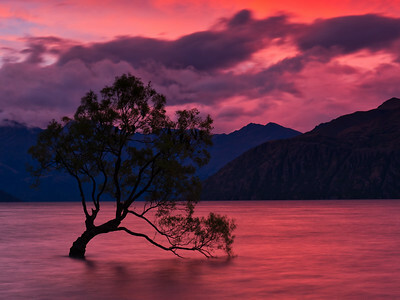 The image was shot at f/16 with a shutter speed of 2 seconds on ISO 200. Obviously a tripod was the critical piece of equipment to ensure a good, sharp image. My equipment for this image was my Panasonic Lumix GX-7 with the Olympus 12-40mm f/2.8 PRO lens and my trusty Really Right Stuff tripod. The fishing village of Georgiopoulos in Crete was a bit of a short photo adventure sortie from Souda Bay, one of our stops on Northern Trident 2015. 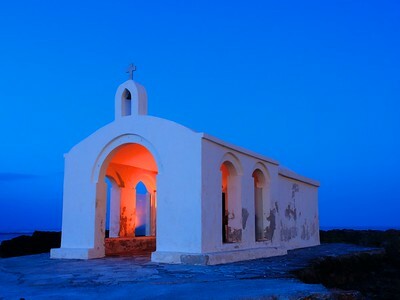 About an hour by taxi from Souda Bay, we went to Geogiopoulos for a single reason - to get sunset and blue hour photos of this little chapel that is literally on a little island in the bay, connected by a causeway that apparently can be all but underwater at high tide. The chapel is the most famous feature of the town, and the night we visited there were a handful of others that made the trek out to the island. The chapel was certainly a stunning photographic subject, and it was well worth the adventure to get there. Today is New Years Eve, and the world's eyes are on Sydney Harbour as one of the major focal points for seeing in the New Year. 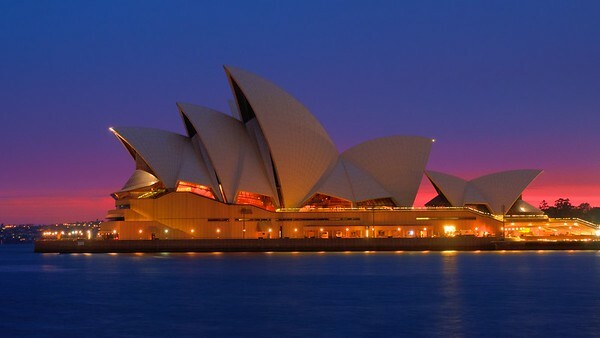 This image of the Sydney Opera House, one of Harbour's iconic landmarks, was made at sunrise a week ago, and I think it beautifully captures the dramatic air of this unique building. As we move into 2015 I look forward to taking in as many sunrises and sunsets as I can! Castel Sant'Angelo represents the uniqueness of old old Rome. 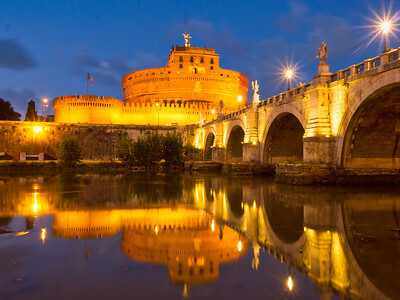 Built originally as a mausoleum by Emperor Hadrian in around 123-139CE, the complex was later used as a Papal residence and fortress and then a prison. It is still in use today as a museum and tourist attraction. In researching Rome photography using 500px, Flickr and the Modern Atlas app I realised that Castel Sant'Angelo would present a range of shooting opportunities. In some respects this image gives prominence to the castle, and the starburst of the lights on the bridge work well in this composition. To tell the story of a subject is an important part of the experience. And it gives a better chance of getting a unique image. The classic view of Positano is from the outlook at the eastern end of the township, near the Sponda bus-stop. This view is very oft the first stop for photographers visiting Positano. This is exactly why its a good idea to sometimes shoot the opposite view, so after watching Elia Locardi’s Photographing the World part 3 I decided to set out to find the overlook Elia used for an alternative blue hour location. This location looks eastward, so I shot it at both sunrise and sunset. Interestingly I really found the location to be better suited to sunset, perhaps a bit surprising, but the blue hour from this location was quite spectacular. For me, the clear blue sky in this image works beautifully with the lights of the town. 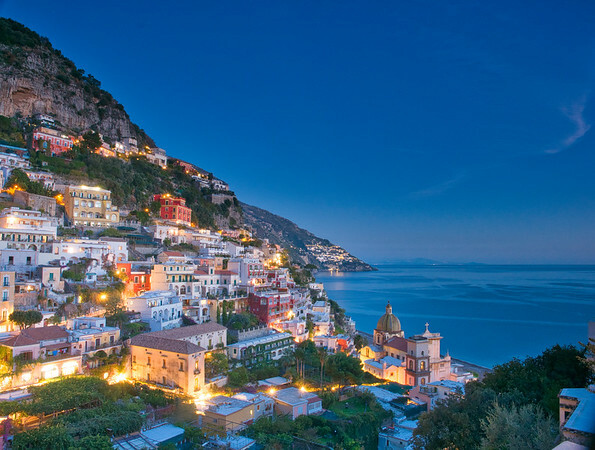 Visiting Positano in the low season had many advantages, but there were far fewer lights coming on. Its possible that in high season there might actually be too much ambient light, so it would be interesting to see a comparison. This location was perfect for framing the dome of the church in such a way that it has clear sea behind. Tracking this location down was a good opportunity to get an insight into the thinking of a photographer like Elia. It was simultaneously a chance to learn scouting techniques, while exploring and being rewarded with a good photo location. Australia's Northern Territory has two distinct seasons - the Wet (Oct-Mar) and the Dry (Apr-Sep). The Dry Season features constantly blue skies, no clouds, and no rain. The Wet features some spectacular clouds, storms and lots of rain. The Wet Season is also a brilliant time to make photographs out in the desert - the rains bring colours, like the vivid reds, greens and blues in this image. The Top End is an incredibly remote place - it is quite literally hundreds of kilometres from other major towns, and thousands of kilometres from cities of any real size. This image tells both these stories to me - the colours of the Wet Season and the isolation shown by the lonely railway tracks. 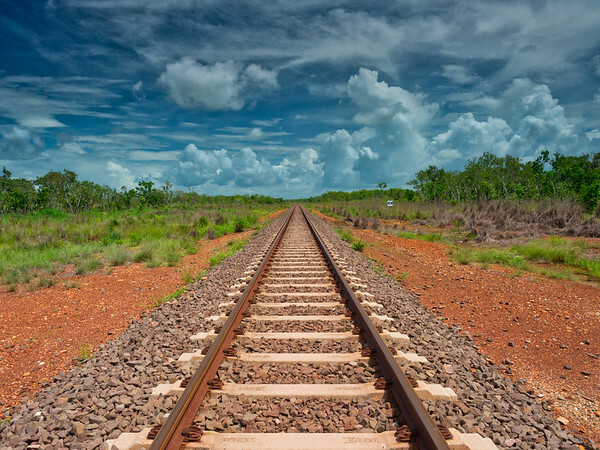 These tracks are used by 'The Ghan', a weekly train service between Darwin and the southern city of Adelaide - some 3,000km (1850 miles) away. 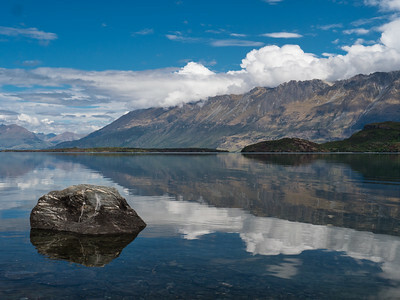 I created this image on my Panasonic Lumix GX7, using a Lee Filters polarising filter and a 3 stop GND to balance the mid-day light. A small amount of post processing was done in Luminar.